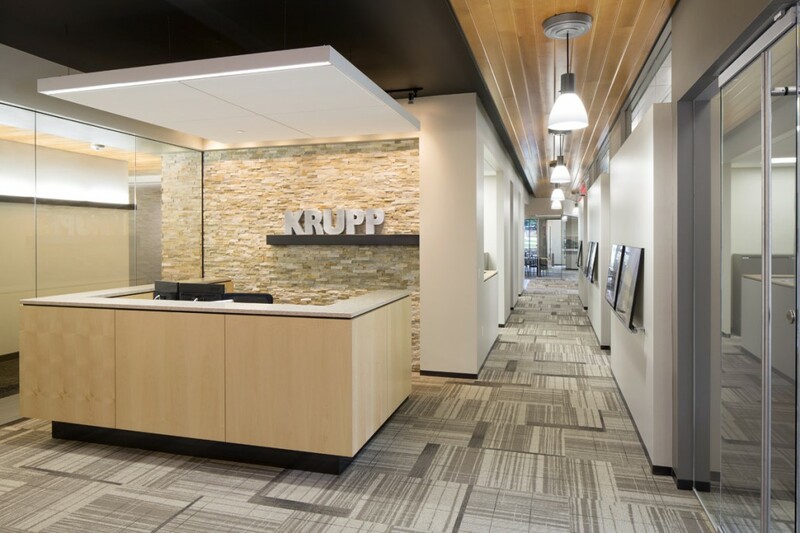 Potter Lawson designed KRUPP General Contractor’s new office located in the University Crossing Development. 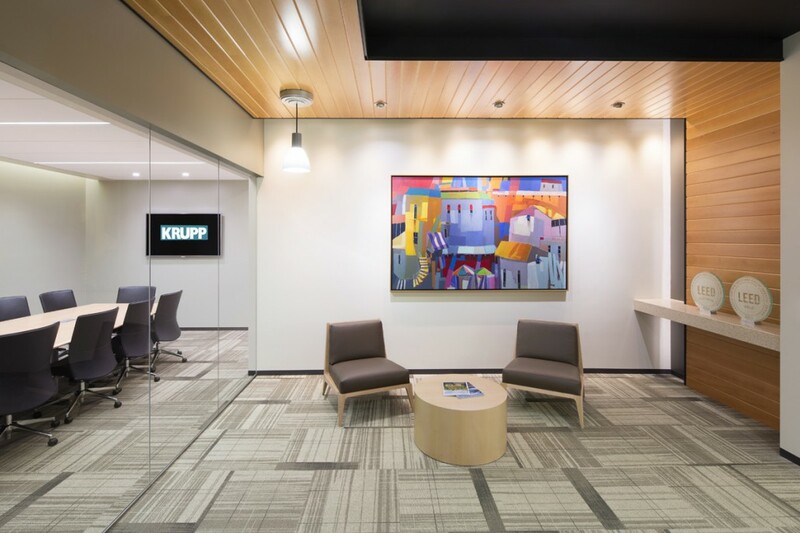 This 5,000 square foot space includes a welcoming lobby, open glass conference rooms, private offices as well as a central gathering kitchen. 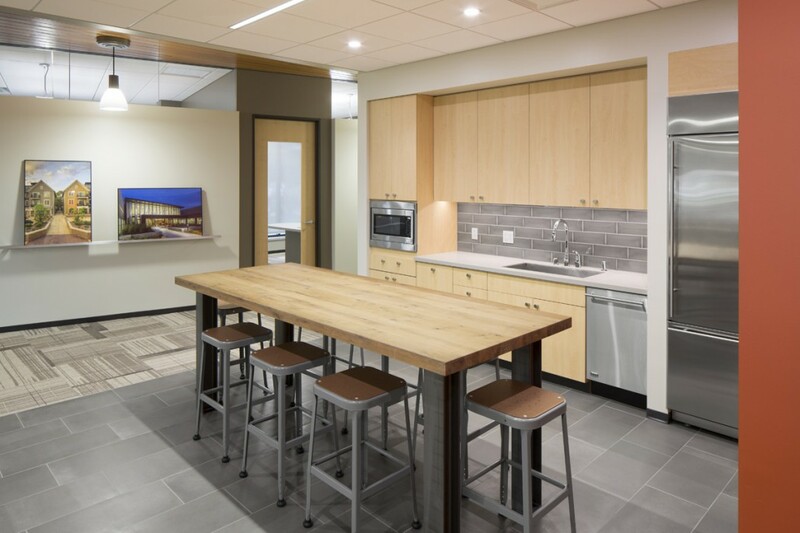 The palette of the space includes natural dry-stack stone and warm wood finishes all drenched in natural light throughout the space. AIA Wisconsin Design Award Acceptance! Noric Consulting Wins IIDA Award!